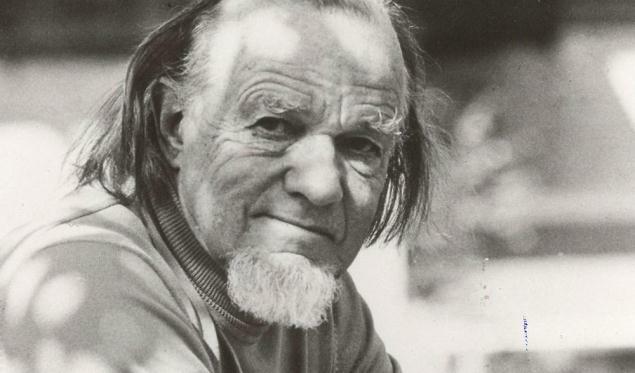 Seems like there has been some new materials from Francis Schaeffer being uploaded on Youtube! Francis Schaeffer has written a book called “A Christian Manifesto.” Sadly I read it years ago and don’t remember much of it anymore. Schaeffer has gone on a speaking tour under the same name and this particular talk was filmed at Coral Ridge Presbyterian Church (Formerly where D. James Kennedy preached at) in 1982. Thanks to Francis Schaeffer Studies for the head’s up! First off concerning taking of life I think we must remember the Creator/Creature distinction. Specifically the differences between God and us is His prerogative to give and take life, as it originates from Him and we are not “owe” life (“he gives and takes away,” as Job 1:21 attests). 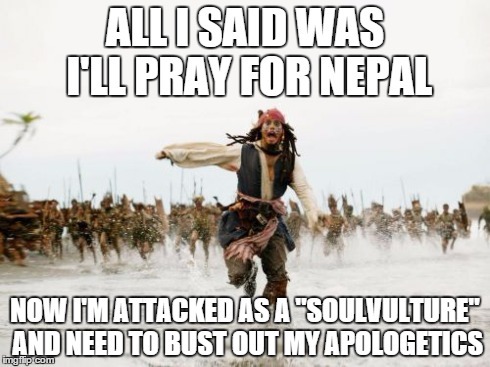 If he takes our life even now there is nothing we can have as a basis to say He is wrong. I think this is foundational to everything else that follows. Secondly I do think there are two kinds of love that we need to make note of theologically; for lack of better term there is “Common Grace” in which God even love His enemies (Matthew 5:43-45) and our love for our enemies rest on the ramification of the truth that God loves even His enemies. Common Grace must be distinguished from Special Grace or love and the activity of His love that efficaciously lead to salvation. Equivocate the two (that is, not making a distinction between those two forms of love) will get us into all kinds of hermeneutical and theological problems. Thirdly I think early death does not necessarily always means God does not love the person; even if they are Babies and the death was the result of God dealing with sins. I think of David’s son who died and yet 2 Samuel 12:23 seem to imply David will see Him after death. Fourthly, Scripture also talks about our sinfulness well before birth and thus babies do have sinful tendencies though of course the capacity and level of sin differ in degrees from that of adults. 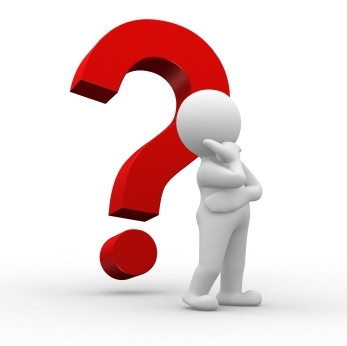 Fifthly, do you have book on Presuppositional apologetics in general and Reformed books on Theodicy in particular? 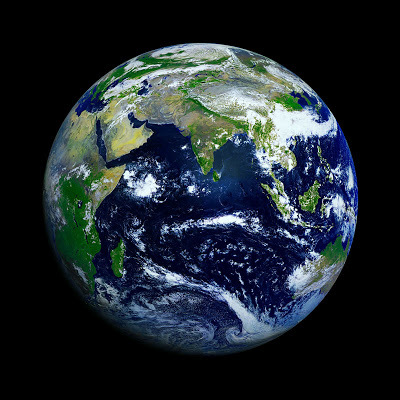 I think it might be a good place to begin concerning the problem of evil and from there I recommend Gordon Clark’s work and Jay Adams on the Problem of Evil as I think they are Biblically helpful. I’m still posting book reviews from my Memorial Day Weekend. Patrick K O Donnell. 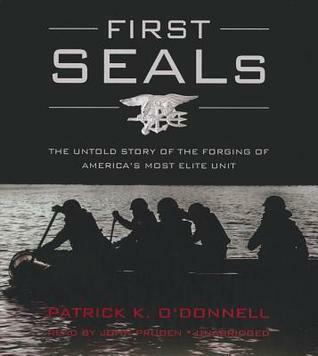 First Seals: The Untold Story of the Forging of America’s Most Elite Unit. Boston, MA: Da Capo Press, October 28th, 2014. 320 pp. The title of the book could be somewhat misleading. One might think this is a book on the early history of the US Navy SEALs which began its origin with the Navy Underwater Demolition Teams (UDT) during World War Two. Typically most books on the history of the SEALs trace their lineage to the UDTs. Instead this book focuses the Office of Strategic Services’ Maritime Unit (MU). After getting over the initial expectation that this was going to be about the SEALs or the UDT the book turned out to be an amazing account of the men and the operations of Maritime Unit that was much ahead in their days of Naval commando operations even compated to their contemporary UDTs with the MU’s advance technological breathing masks, sea-to-land direct actions, parachuting capabilities, support for partisan fighters behind enemy lines, sabotage and advanced reconnaissance. Like the modern SEALs of today the role of those in the MU were at times blurred from land and sea operations. This book tells the incredible stories of these men that read like a novel. The most harrowing account in the book is the story of Navy Lt. Jack Taylor who was captured by the Nazis deep within enemy lines and was sent to a concentration camp. Taylor was marked for death many times by the Nazis but camp clerks who were made up of prisoners themselves kept on erasing his name and/or going in line ahead of him whenever the Nazis gathered people to be killed. Many of these European prisoners wanted Taylor to be alive so that America and Western Europe would have an American witness of the Camp’s atrocities and therefore convinced the West that the Holocaust was real. It made me tear up seeing how those in the Concentration Camp can act almost like animals in survival mode but somehow in the midst of the all the salvage brutality the all too human concern for truth and justice manage to come out. This is an incredibly good book. Let me know what you think of the debate. I’ll be teaching theology outside of my native country sometime next month. During that time schedule guest posts will fill my time away. If the Lord has moved you, please pray for my studies and preparation as I’m trying to finish up the curriculum. I want to ask that you pray not only for my preparation, but the actual teaching when it comes up and the Lord to bless the students in ministry. I am reviewing this book late at night in the last few hours on Memorial Day. Joseph Kapacziewski. Back in the Fight: The Explosive Memoir of a Special Operator Who Never Gave Up. New York, NY: St. Martin Press, May 7th, 2013. 304 pp. This is quite the autobiography of the only Army Ranger serving in direct combat operations with a prosthetic limb. The Army Rangers are a part of the United States Special Operation Forces which makes it no easy task for someone recovering from massive combat injuries and missing a leg. Sergeant First Class Kapacziewski tells this story because in his own words he wants to reach and encourage other wounded soldiers to continue forward and not give up. I think his story is worth reading even for those who were not injured—and even those that didn’t serve. The first thing that struck me reading this book is the fact that this guy is my age. We both graduated the same year. We both joined the military around the same time. Both of us found early in our military career to be the point which we can point to and see we have grown up and became a man. But that’s probably where any similarities end since Kapacziewski is a much tougher man than I’ll ever be. I appreciated reading his story because here is a story about my military generation. 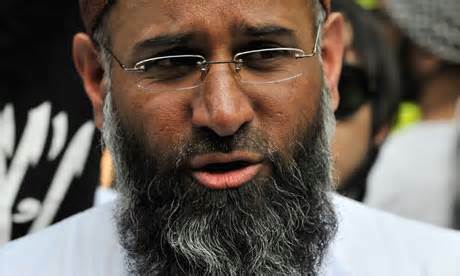 The one who woke up one morning and saw 9/11 on TV and knew we have to do something about it. Kapacziewski represent the young Americans that goes against the grain of what people often associate with Millennials as being self-centered and self-absorbed: He has had more than his fair share of combat with ten combat deployments under his belt of which five deployments was after he has loss his leg from an enemy grenade. The guy was probably not even thirty years old when he started writing this book. I learned a few things about the Army Rangers as well. I’ll be honest, I’m an ignorant Marine. Before this book I thought Ranger School was the same thing as the Ranger Indoc Program. I didn’t know that there were so few Rangers even though I knew beforehand that there are only three Battalions of them. I didn’t know the Rangers deploy typically for three months and it makes sense their shorter deployments with all the dangers they face in their late night raids of high value targets. I’ve appreciated Rangers before and now I appreciate them so much more after the book. I’m glad that there are warriors like Kapacziewski who stand against those who are evil and radical terrorists in Iraq and Afghanistan. For Kapacziewski it is not about himself and his injuries but about being with something higher than himself and specifically the Rangers. 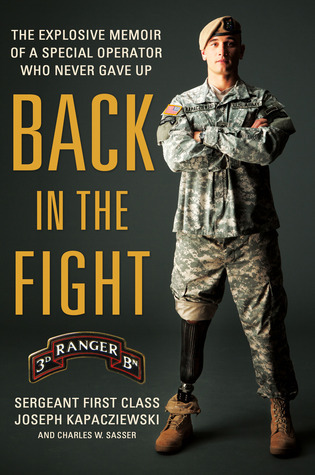 I think the fact speaks for itself in that the author spent over half of the book discussing about the Rangers and his fellow soldiers before ever getting to the terrible combat injury that made him lost his foot. He spend more time talking about his pre-injury deployment in the book than he did his painful road of recovery. What’s in it for the Christian? As I am reviewing this book for a Christian blog one might ask what in it for the Christian to read this book. First off, this book will remind you that there are really such thing as evil men who wants to murder innocent people. Christians must never sugarcoat our view of reality and be reminded that wickedness is real. Secondly, Romans 13 talks about honoring those who are in Government. This is one way you can have a greater appreciation for some of the sacrifices elite Special Operators will endure to serve the country. Thirdly, there are passages in the New Testament that call Christians to serve God faithfully like soldiers. A book like this will give a glimpse of what that kind of radical commitment of soldiering looks like. I recommend the book for all adults.